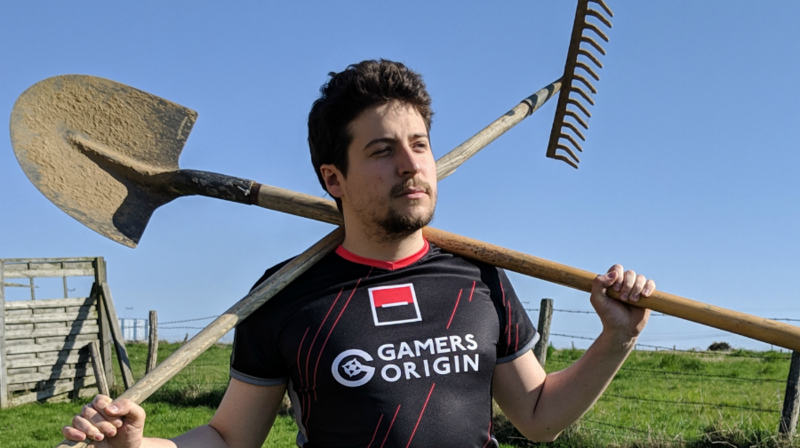 GamersOrigin is making another step forward in its esport club growth with the arrival of a world-class Farming Simulator player. In order to compete at the highest level of Farming Simulator, we looked at a lot of profiles, interviewed many potential candidates and finally found the ideal player. Alexandre “Lutti” Delattre has been harvesting his success for many years. He is a former GamersOrigin Hearthstone streamer and is currently a caster for the Overwatch League. He is now ready to reap the benefits of his hard work and to be at the heart of the action. Why becoming a Farming Simulator pro player suddenly? I was ashamed of my inclinations. It’s not so easy to be a wannabe farmer, I didn’t want to disappoint my Overwatch audience. However, the game is jumping into esport and I am proud to say that I love to crop beet. It reminds me of my childhood when I used to sit on my grandfather’s lap, on his tractor. If I can ally that with my passion for esport, it’s perfect. I have all the game editions and I am proud to be part of the elite of the gamers. He’s ready to sow the wind to reap the victory #GOWIN! EDIT: As you might have guessed, it was an April fool. Unfortunately, Lutti is not joining GO as a super farmer and he will continue his regular activities. Previous Previous post: Reynor is going to L.A.
Next Next post: Reynor is the WCS Winter champion!